Citi 5X Targeted Spending Offers Return: Earn 5X in Grocery, Drug Stores & More! Citi has changes the terms for receiving bonuses on their ThankYou Points credit cards. The new rule might extend that by a couple of more months but also has some positives. Citi is rolling out a fresh website design for their customers. Find out what new design & features they have added plus why it isn't enough to fix the site's long term problems. Citi Prestige has been revamped and relaunched. We already knew that the card was due for a comeback, and we also knew the enhancements and more importantly, the negative changes. My wife was targeted for a new Citi ThankYou Preferred spending offer. This one earns 5X points on many different travel categories. 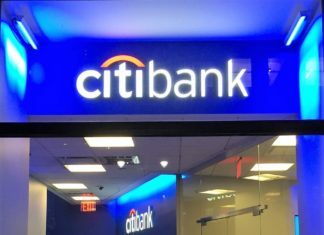 Citi is excited, some bloggers and readers are excited, but I am not excited about the upcoming Citi Rewards+ credit card. Citi’s Dividend card is no longer available to the public, but there are many people who have one. Today I received an email with a pretty decent spending offer on my ThankYou Premier card. This is a targeted offer, so you need to have received an email to qualify.